“Coffee. It’s time to chill.” If you’re fortunate enough to have stumbled upon Le Cairn, a charming coffee café and naturopathy—tucked between Invalides and the Eiffel Tower, on Rue Dupont des Losges in the 7th arrondissement—you’ll hear soothing, indie soft rock on loop harmonizing alongside the comforting hum of the espresso machine. Welcome to the barista / wellness hideaway where you’ll truly feel at home. Enter this wellness wonderland, and nestle into the rustic, yet light-and-airy interior for a fluffy gluten-free Madeline or wheat-free, cake-like quiche. Organic, local products comprise the boutique eatery. 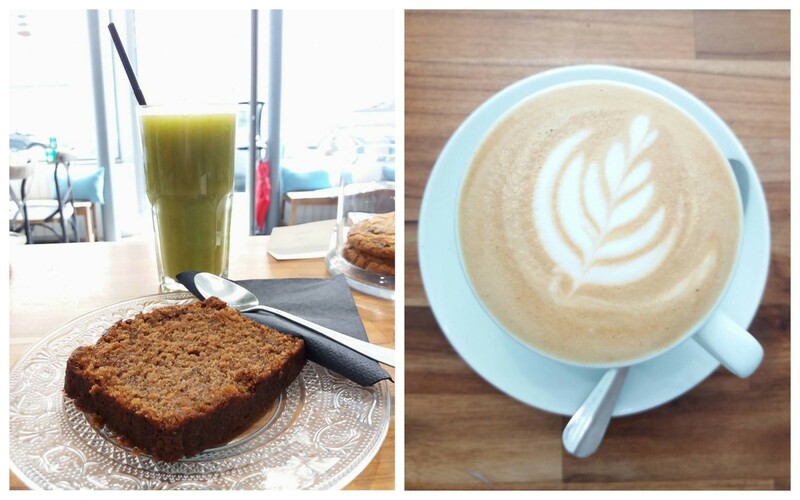 Whether you match your healthful dish with the jus du jour or an artfully crafted soy latté, everything in house rotates daily, and is fashioned 100% sans gluten: rich, dark chocolate-chunk-laced muffins, melt-in-your-mouth carrot cake, artisanal yogurt, seasonal salads, cakes, and soup (in the winter) make up the café-style menu. In the back of the shop, discover natural beauty products, holistic treatments, and treasures fit for saine households. My favorite? Douces Angevines: a line of remarkable, premium-organic cosmetics fashioned from botanicals foraged in the Loire Valley. Perhaps the most charming aspect of Le Cairn is the inspiring mother-son team who manages the shop: Mathias, the barista, and Francine, a certified naturopathy. Motivated by forays in the wine industry, the benefits of a healthy lifestyle, and the influence of a gluten-free family member, the now 2-plus-year-old venue is the physical embodiment of this lovable duo’s life philosophy. “Health is a state of balance in the body, mind, and spirit” assures Francine, who is dedicated to accompanying others in releasing their inner potential. The shopkeeper sees the human within holistic medicine, and her vision is expressed in the zen venue’s namesake which refers to a pile of a pile of increasingly small stones—a monument with deep symbolism in Ireland, among other nations—signifying balance and strength. Francine and Mathias channel their power and passion for people in what they do, and you cannot help but feed off their contagious energy. To fully take advantage of your time at the boutique, follow one of Francine’s tailored-to-you naturopathy sessions paired with a balanced breakfast. Le Cairn, the house specialty, nourishes the body and soul with a beautifully colorful bowl of diced, seasonal fruits, sprinkled with pumpkin seeds and almonds piled atop a mélange of mashed banana, lemon juice, sesame, golden flaxseeds, and virgin rapeseed oil. 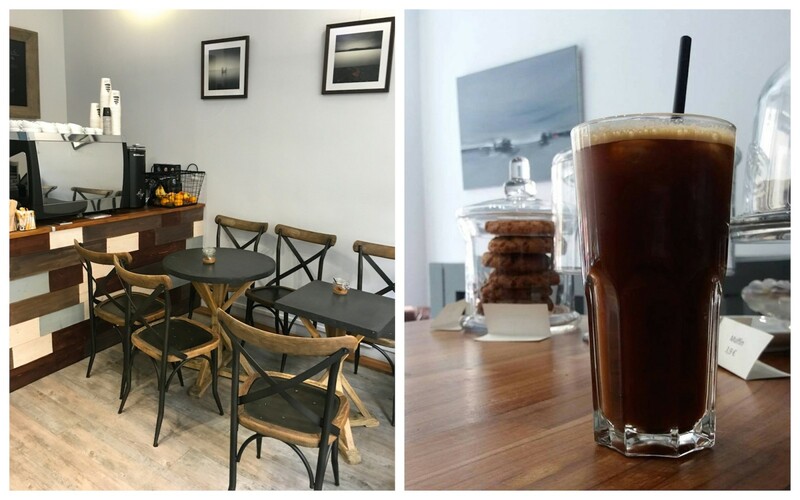 Le Cairn Coffee Shop & Naturopathie – 3 rue Dupont des Loges 75007. +33 (0)6 83 87 39 63. Open Monday-Friday 8am-7pm, Saturday 8am-6pm. Métro: Alma-Marceau (ligne 9). Going on a health kick? Read about Paris’ running groups. For tips on eating gluten free in Paris, head over to Vogue. Looking for a naturopath? Check out this list on Yelp. Written by Catherine Caldwell for HiP Paris. Photos courtesy of Le Cairn. Looking for a fabulous vacation rental in Paris, London, Provence, Tuscany, Umbria or Liguria? Check out Haven In.